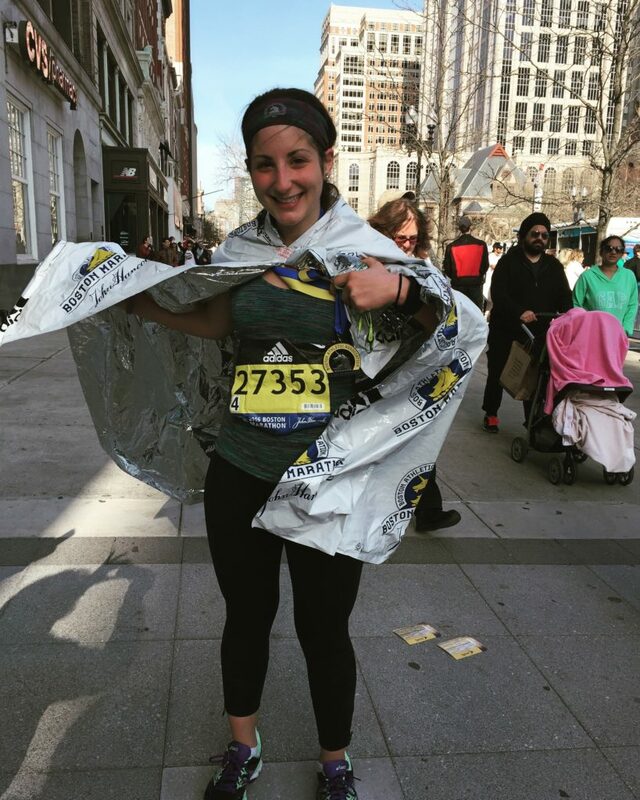 The Boston Marathon has been a dream of mine for the past 7 years. I never thought it would be achievable or that I would even have a shot running with elite runners. I have run three marathons in Cleveland and one in Canton, I did not train has hard as I should have, I always finished but sometimes it was a struggle. I did not listen to my body and my fourth marathon resulted in extreme knee pain. I swore it would be my last because I had such a horrible finish. What I learned from those four marathons is that you truly can achieve anything you set your mind to but you need to prepare. I took two years off of marathon running and I stuck to smaller races and half marathons but figured that another 26-mile race was out of the cards for me. I finished graduate school and received a job offer in Boston. When I moved I started to slowly realize that the marathon that was always a dream to me might actually become a check off my bucket list. 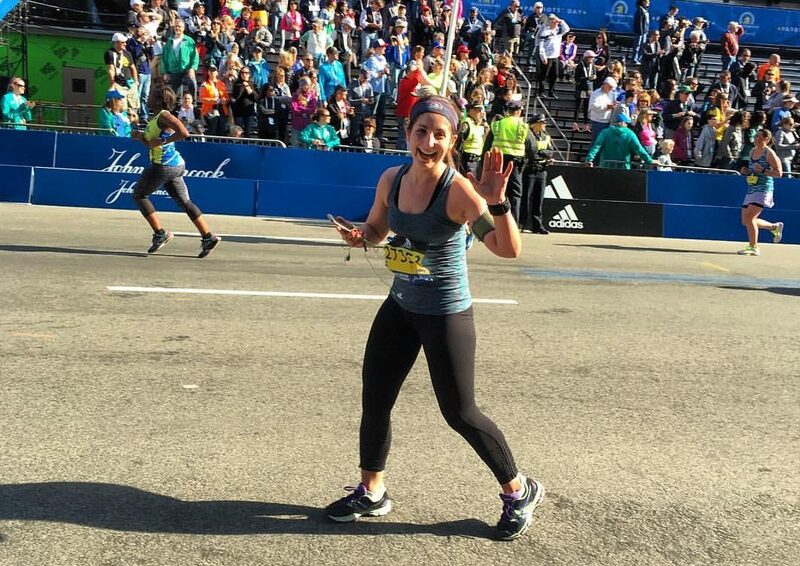 I trained for 6 months, received a spot on a charity team, and had constant anxiety that my training would not be enough to run with the best runners from all over the world. Once I committed I set my mind on the end goal, anything that stood in the way of that had to be deleted from my life. I followed a strict training plan and made sure my diet was healthy. Achieving this goal took motivation and determination. It was far from easy, dinner and drinks with my friends resulted into ordering healthy food, drinking lots of water, and getting a good night sleep so my 12-20 mile runs Saturday was not harder than they had to be. When you set your mind to something you make sure you do whatever you have to do to make sure you are prepared to succeed. Race day was amazing and all of my hard work did indeed pay off. It was a race to remember for the first marathon I did not walk once and my 5th marathon was a success. My time was far from placing but I set an achievable time that I achieved. None of it would have been possible without the support of others. Surrounding yourself with a great support system is so important. When others are motivating and supportive it puts you in a good place and you want to achieve a goal for yourself but also for others. Tenacity and prayer helped me believe in myself and achieve something I never thought would be possible. There is no substitute for hard work. At the beginning of each year I pick a few things off my bucket list to make a reality. 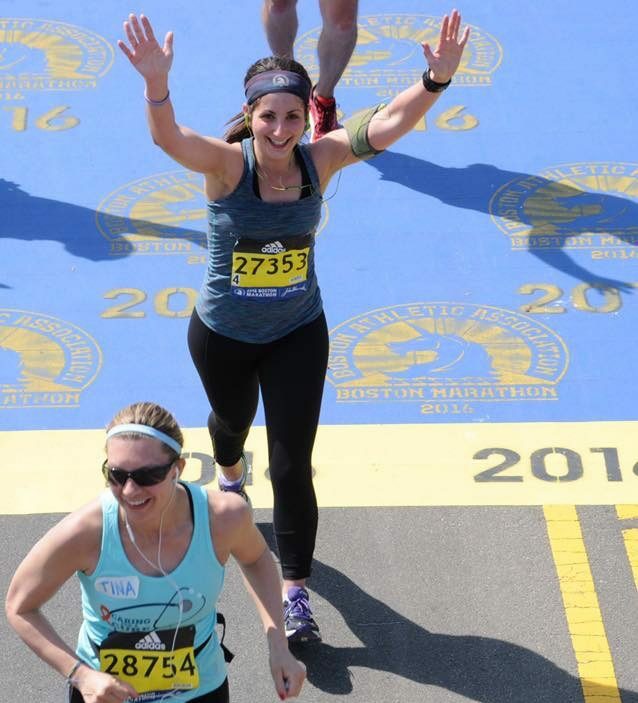 This year was graduating from graduate school, receiving my black belt in karate, and running the Boston Marathon. I encourage anyone who reads this to never give up. If you want to do something then do it, achieve your goals. You only have one life why not make it as memorable as possible. No matter what the obstacle it never gets easier, you will just get stronger. Previous StoryWhat is it Like Growing Up Black Latina in America?